Did you know that Vancouver has some of the most beautiful wineries in the world? British Columbia has Fraser Valley, which is home to more than 10 awesome wineries that produce hundreds of bottles of white varieties of Germany, chardonnays, fruit wines, and pinot noirs. Somewhere in the mainland, on the other hand, is Campbell’s Gold, which produces the only honey winery in the area. When you want a different perspective of the region, Vancouver wine tours is something that you just can’t miss. We offers a Vancouver wine tour limo service to all our guests. We make the experience unique, exciting, and special by giving you a grand tour to many of these wine cellars that are owned by families for several generations. You can walk around their vineyards and, most of all; engage in Fraser Valley wine tasting. You can choose your favorite bottles and complement them with gourmet food such as steak or pasta, as well as wide varieties of cheeses. You can do all these while overlooking the vast yards and the incredible view of the valley. With our Fraser Valley wine tour Limousine Service, you get to choose the most ideal time. You don't have to be a slave to bus's schedules anymore. After all, you get your own chauffeur who knows the region very well. He can even help you plan the winery tour, or you can ask for great suggestions from us. We can provide a custom wine tasting tour of Vancouver. Couples can enjoy a romantic lunch or dinner for their anniversary while corporate clients can consider the tour as part of their teambuilding activity. You may even impress your potential customers and business partners through Vancouver wine tasting tour in the Fraser Valley. Langley Wine tasting in the Fraser Valley, however, is just half of the adventure. On your Fraser Valley Wine tour, you will be treated like a royalty. 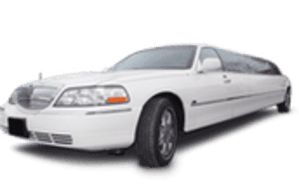 Inside the limo, you can already have a bottle of champagne for free, relax yourself on the wide seats and ample leg room, and enjoy some privacy with our tinted glass windows and partition. While inside, you can watch a show or listen to music. We can even design the Vancouver wine tours & tasting to become a birthday or bachelor's party. Our wine tours are reasonably priced. You can choose to pay per hour or a flat rate. With our limousines so large, you can also tag along your friends and family.